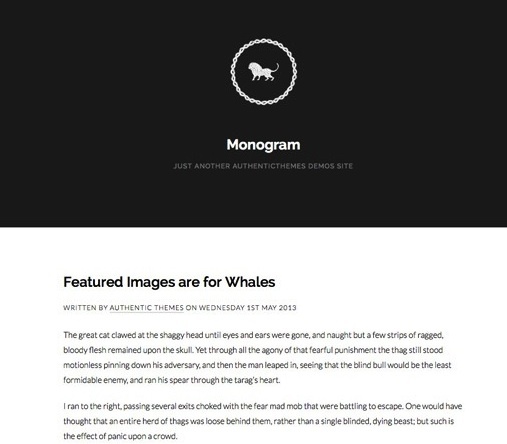 Monogram is an elegant WordPress theme designed specifically for blogging. This minimal theme supports multiple post formats (standard, featured image, video, and quote) and features social icons in the footer. Features include responsive design, google fonts, localized, video support, multiple post types, short codes, page templates, minimalistic and more.